Linear is a Global supplier of press transfer automation, blank feed systems and press to press automation. 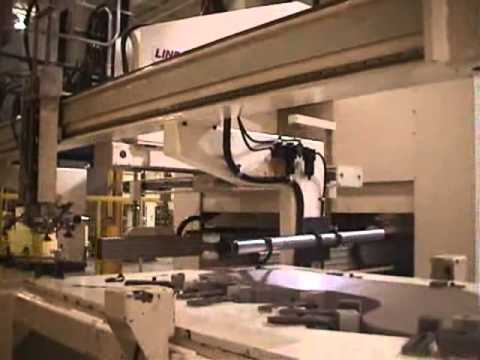 Linear is the world’s leading supplier of this specialized automation, with the focus on optimizing metal stamping operations on every project. Our proven technology is designed to be the most reliable, robust and flexible automation in the market. 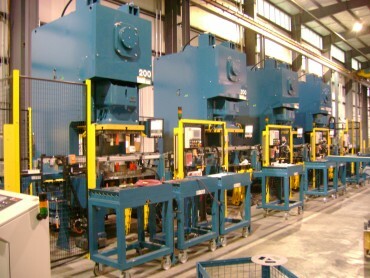 We also build each system with the simple goal of never being the bottleneck in the stamping process utilizing our scalable drive sizing software to insure the drive train exceeds any speed limitations in the stamping process. The equipment is backed up with world class 24/7 support from our many global locations. Linear produces world class servo driven in press transfer systems. The systems can be mounted on any type of mechanical servo or hydraulic press utilizing our various mounting configurations. With modular actuators and scalable drive trains our transfer systems should never be the bottleneck in the stamping process. All systems are designed with maximum flexibility and robustness turning any press into a fully programmable world class transfer press. 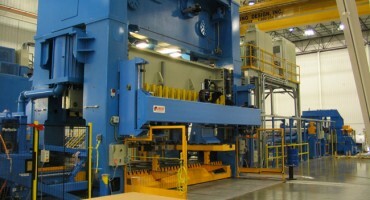 Linear’s tandem press equipment is electronically cammed to the press, providing variable stroke and motion profiles. Our system is capable of running with presses in single shot mode, continuous mode and continuous on demand mode providing the flexibility to run at the highest possible speeds, all controlled from one touch screen.